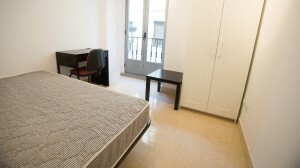 helpMadrid | Apartement Santa Cruz 1D in Madrid Sol - Shared Flat with 8 rooms. 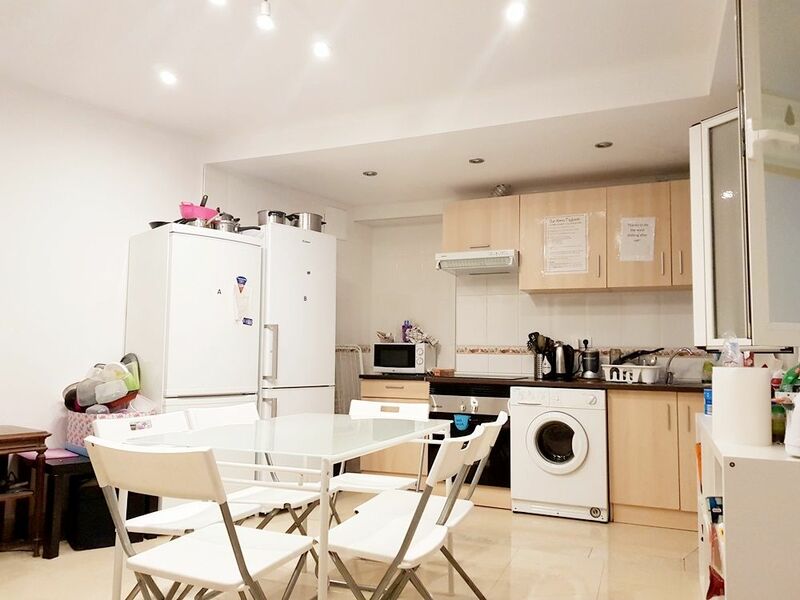 The flat is pretty big but still cozy, comfortable and clean. It's located in Plaza de Santa Cruz, a quiet little square with a church and some terraces right next to Puerta del Sol and Plaza Mayor. 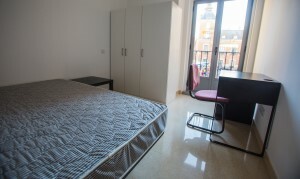 The flat has 8 rooms in total, and 5 of them have its own bathroom ensuited, inside the room. 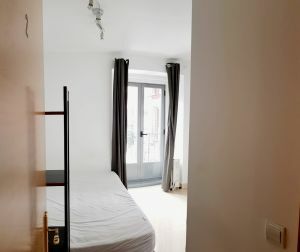 For the rooms that don’t have private bathroom, the flat has 2 shared bathrooms: 1 of them is located right next to the 3 rooms without bathroom ensuited; the other shared bathroom is located in the living area. 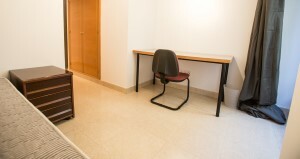 About the common areas, the living/dining area is located at the end of the corridor. Inside the living area you have the second shared bathroom. - Dining area with a big table and chairs. - Living space with a flat screen TV and sofas. 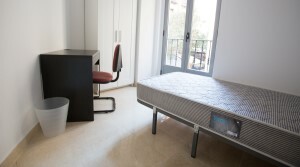 - Wi-Fi for free (in the living area and all the rooms). - Cleaning service for free once a week for supporting your cleaning tasks (common areas only). The neighborhood is safe, and it’s surrounded by supermarkets, terraces, restaurants, stores, bars, clubs and everything you need. 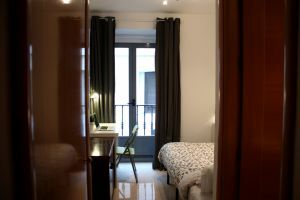 Also the nearest El Corte Inglés (the most famous department store in Madrid) is located really close, so you have only 3 minutes walking from the biggest department store in Madrid. Right next to the building you have the Plaza de Santa Cruz, full of terraces almost the whole year (but especially in summer), and 5 minutes walking you have the Plaza Mayor. Around this area, you have many restaurants and terraces where you can discover Spain by his food, and also all kind of stores, low cost gyms, theaters and cinemas, etc. - Lots of monuments and historical buildings: the 'Oso y el Madroño' statue, the km 0, the Royal Palace and its gardens, the writters district ('Barrio de las Letras'), museums, etc. 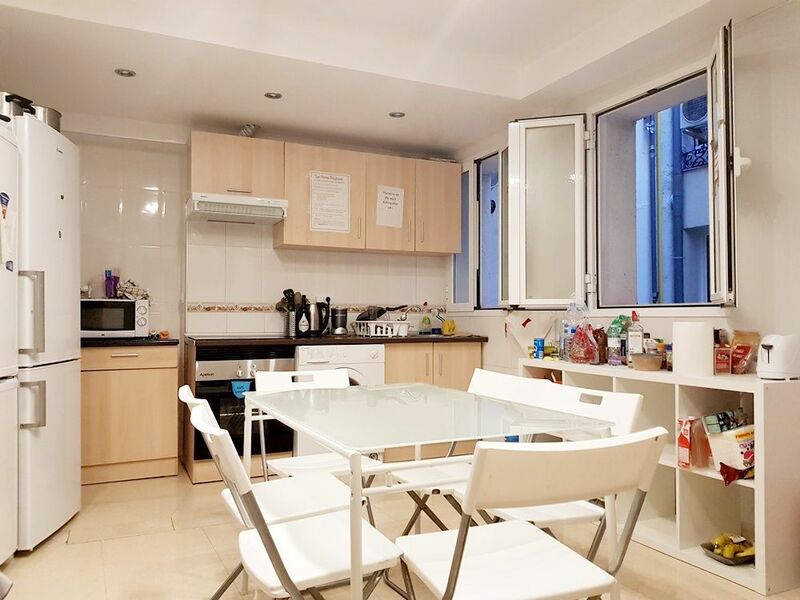 - Restaurants and terraces, and the Plaza Mayor right next to your apartment, with all its terraces for enjoying the great weather we have in Madrid during summer. Also the Plaza Mayor is a great spot to try the most typical ‘bocadillo’: el bocata de calamares. - Cinema that shows movies in original version! It’s called ‘Cine Ideal’ and it’s super close, around 4 minutes walking. - Teatro Calderón, which has great show offers. - Gastronomic markets, like the Mercado de San Miguel. - It's super central, so you will visit all the city center mostly by walking. - Closest metro station: Sol (metro lines 1, 2 and 3, and 'Cercanías Renfe' - railway), Ópera (metro lines 2, 5 and R). - Several bus stops at Jacinto Benavente square. - Several Bicimad (public electric bikes) stops around, the closest are located in calle Mayor and plaza de Jacinto Benavente.